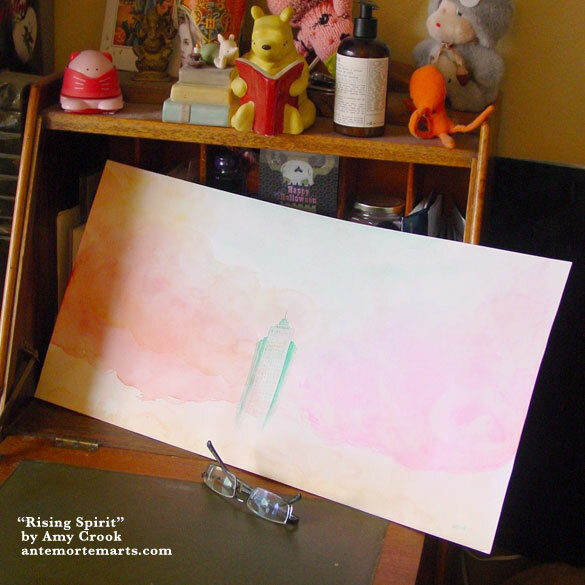 The colors of this sunrise will seem familiar from Friday’s post, I hope, with gentler clouds and the birds to bring it out of abstraction. 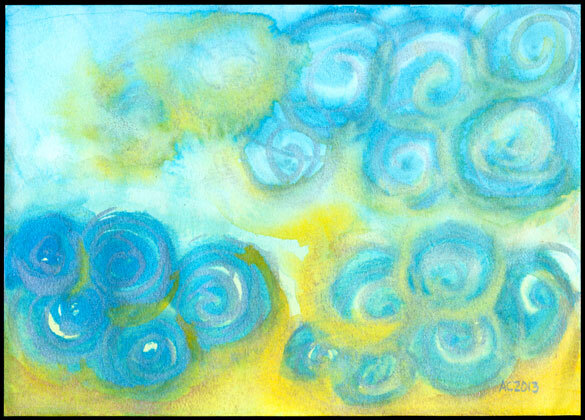 There’s still shimmery spirals in blues and golds, but they’re softer, fluffy clouds instead of stormy ones. The three birds are flying along not really in formation but just hanging out, the sunlight shining on and through their feathers, making them almost ghostly in the morning light. 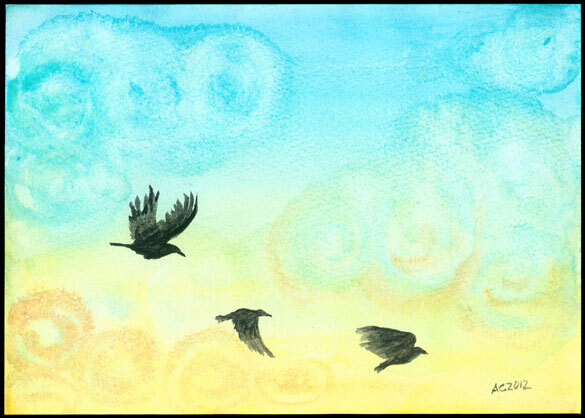 Sunrise Crows, 7″x5″ watercolor on paper, nfs (sold). 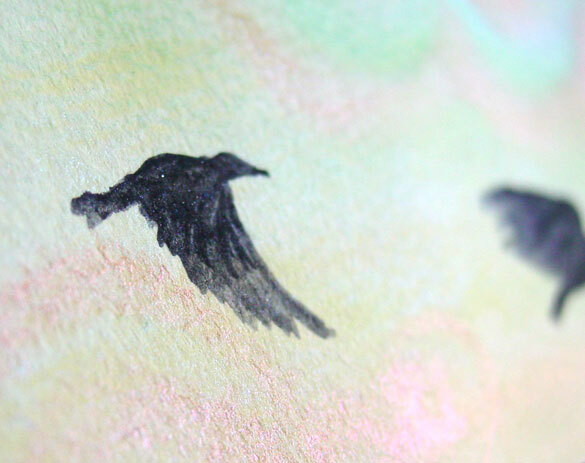 Above, you can see the sunlight glimmering off the iridescent paint, and the tiny feathery details in the middle crow. 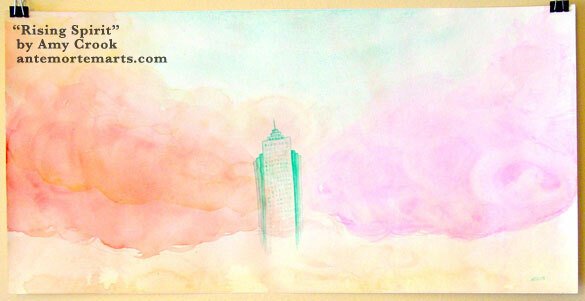 The golden clouds get hints of rose and orange, while the blue ones go softly aquamarine. 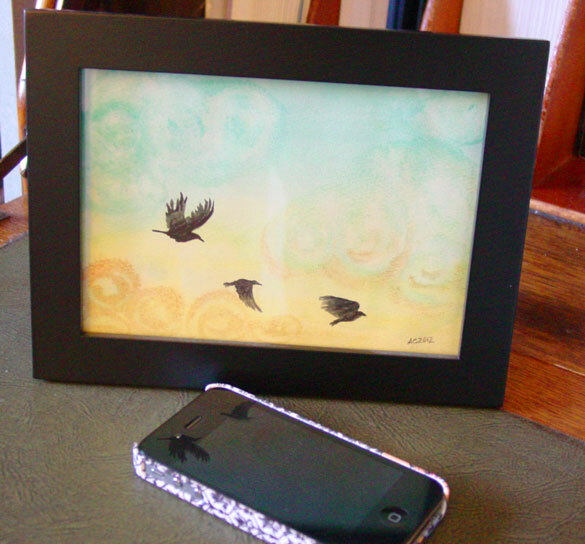 Below, you can see the piece hanging out on my writing desk in a frame, waiting to fly off to their new home. This is one of those hard-to-capture pieces, made of cool sky blues and warm sunny golds that mix and mingle in a way that, weirdly, doesn’t actually make much green. Despite the fact that I’m never awake to see them, I wanted to capture a little bit of that feeling of sunrise, when the golden-warm light seeps upward and honey-dips the cool, night-blue clouds. 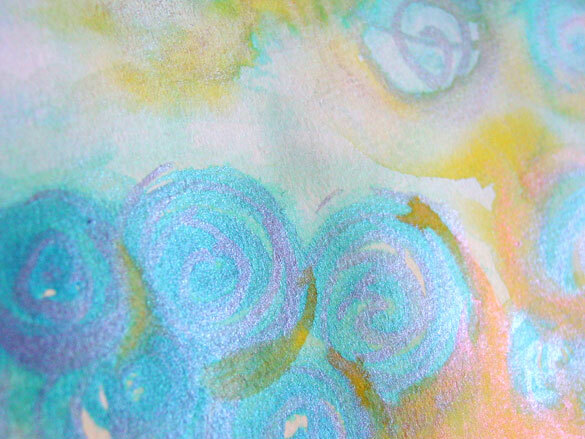 There’s swirls of orangey-gold Duochrome Adobe, shimmery-cold Iridescent Moonstone, and three different metallic blues, all sharing the space with a warm yellow and sky blue background. 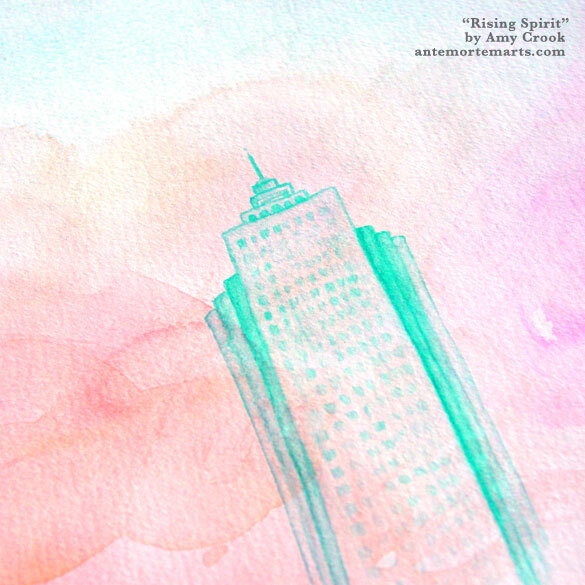 Spiral Sunrise, 7″x5″ watercolor on paper. 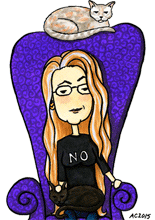 Above, you can see the coppery Adobe, shimmery blue and night-tinted Moonstone catching the sunlight. 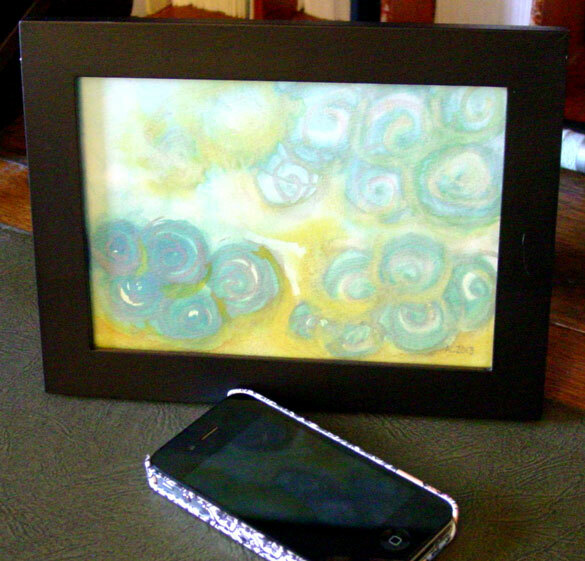 Below, the pieces is tucked into a frame, hanging out with my iPhone.